William John Hanna (Bill), resident of Bethesda, Maryland, was born in Cleveland and later moved to Los Angeles. He passed away from cancer and was buried in Hollywood Forever Cemetery near his parents’ graves. He did not want any funeral or memorial service. After being a world competition bridge player, he earned a Ph.D. at UCLA in political science. 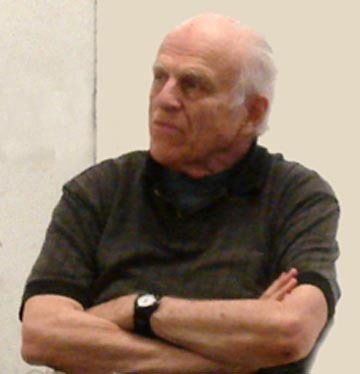 Bill and his anthropologist wife, Judith Lynne Hanna, conducted research on students and politics and the relationship between urban areas and the national governments in Nigeria and Uganda. His films and audio recordings for his wife’s research there and in Kenya are archived at the Library of Congress. He encouraged and supported Judith in becoming a widely published scholar/writer. Bill taught for 54 years at Michigan State University, the City University of New York, University of Texas at Dallas (where he was also a dean), and the University of Maryland, College Park (UMD), from 1978 to 2013. At UMD he was in the Department of Urban Studies and Planning, emphasizing the challenges of planning and policy-making when crossing cultures. He was devoted to his students, some of whom have remained family friends over the years. He took students to Mexico for summer field work. A student field research project in Langley Park, a community near the university, led to Bill’s long term involvement with the immigrants from Central America, Africa, and Asia. Bill was an activist fighting injustice at the university and Langley Park. Not infrequently he went out in the middle of the night to help a student or immigrant in distress. An advocate for minorities, against bureaucracies and gentrification, he supported preserving neighborhood schools, affordable housing, food trucks, health, and small businesses. He took up the cause of neighborhood Salvadoran women street vendors who sold fruit & soft drinks and provided social settings and home-country cultural continuity. Bill founded the neighborhood non-profit Action Langley Park in 1998 and organized annual health and job fairs and folklórico performances. He wrote the biweekly newsletter, Barrio de Langley Park. He gave many lectures on Latino health at the National Institutes of Health, Bethesda, Maryland. The Takoma/Langley Crossroads Development Authority and the Maryland National Capital Park and Planning Commission gave him awards for distinguished community service. In 2005, Bill became editor of the quarterly Faculty Voice (distributed to the 10,000+ faculty members on Maryland’s 13 campuses). He solicited and wrote articles, including occasional restaurant reviews, doing page layout and copy-editing. Bill enjoyed discovering faculty members in any discipline who did unique work. In inviting them to share their voices with the broad academic community, he was continually expanding his horizons. In the US Bill loved meeting people from different parts of the world and tasting their food. He traveled to Canada, Italy, France, UK, Norway, Sweden, Finland (place of our au pair daughters), Estonia, USSR, Israel, Turkey, Jordan, Mexico, Jamaica, Puerto Rico, Venezuela, and Ecuador (where he tried to learn Spanish), Japan, Korea, and Indonesia. Music was salve to his soul and he was a theater buff. New operas and folk music were of special interest. He wrote poetry and created Photoshop art, work that appeared in his self-published booklets. Bill was a big sports enthusiast, played tennis, and followed basketball, soccer, tennis, and golf. He coached his sons’ soccer teams and when they went off to college, a girls’ team. A sense of humor and optimism carried him through life. Bill is survived by his wife of 53 3/4 years, their son Shawn, daughter-in-law Aletha and grandsons Merrick, 10 years, and Sagan 5 years, and his son Aaron, daughter-in-law Florence and fraternal twin grandsons Emil and Adrian, 6 years. Bill Hanna loved life and wanted to live to 120. He didn’t make it, but he experienced a rich and varied life. He touched the lives of many all over the world. This entry was posted in Education, Features, People/Places. Bookmark the permalink.